Martin Persson Nilsson (1874–1967) was a Swedish philologist, and a scholar of the Greek and Roman religious systems. In his prolific studies, he combined the literary evidence with the archaeological evidence, linking historic and prehistoric evidence for the evolution of the Greek mythological cycles. In 1909 he was appointed the first Professor of Ancient Greek, Classical Archaeology and Ancient History at Lund University. 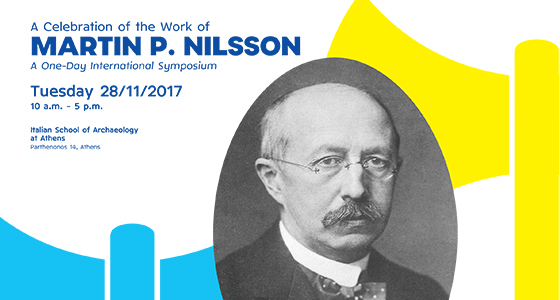 Nilsson is perhaps the most influential Swedish classicist of all times. His best-known work in German is Geschichte der griechischen Religion in the Handbuch der Altertumswissenschaft. He had previously published it under the title Den grekiska religionens historia (1922). His best-known work in English is Minoan-Mycenaean religion, and its survival in Greek religion.